Deputy Craig Patterson (pictured left) is facing first-degree murder charges for the death of Julian Dawkins (pictured right). 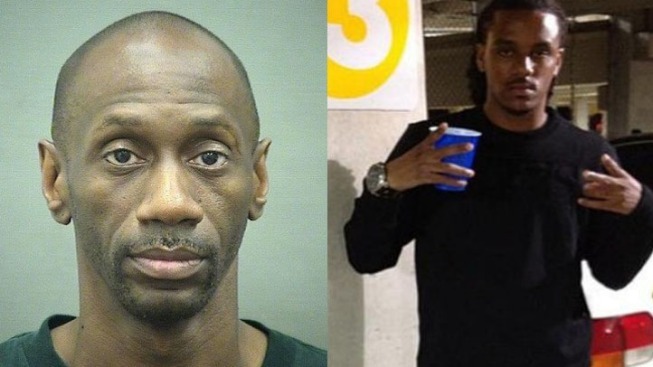 A jury recommended a former Arlington County Sheriff's deputy spend six years behind bars after finding him guilty of voluntary manslaughter in the shooting death of a 22-year-old Alexandria man. Craig Patterson, 45, claimed he shot Julian Dawkins in self defense May 22. The jury, made up of six men and six women, deliberated for nearly nine hours before reaching their verdict. Patterson was found not guilty of use of a firearm in the commission of murder. 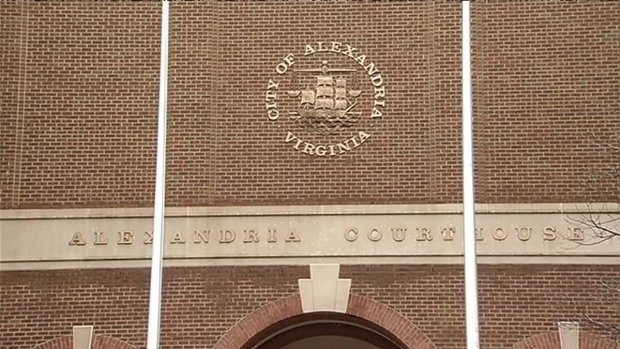 The court immediately moved into sentencing, but had to pause after a dramatic moment regarding the victim's mother, said News4 Northern Virginia Bureau reporter David Culver. A jury recommended a former Arlington County Sheriff's deputy spend six years behind bars after finding him guilty of voluntary manslaughter in the shooting death of a 22-year-old Alexandria man. News4's David Culver has the story. While on the stand during sentencing, Dawkins' mother, Gwen Pratt Miller, broke into hysterics, telling the jury, "He was my only child. He was all I had." Four of the jurors began sobbing as Miller took the stand. The judge called a recess immediately, citing her testimony as improper given her extreme emotions. Jurors recommended Patterson serve six years behind bars. He will be formally sentenced by a judge in February. Dawkins' parents were upset the jury found Patterson guilty on a lesser charge. His father, Curtis Dawkins, spoke outside the court shortly after the verdict came down. "Words right now, they can't describe how I feel. I really don't have a feeling at this particular time because I'm numb. I know that God has the final say in all things but ... right now to deal with this situation, it's going to take a lot of support," he said, holding back tears. Before the case went to the jury on Thursday, both sides' closing arguments focused on the cause of the shooting. A former Arlington County Sheriff's deputy was found guilty Friday of voluntary manslaughter in the shooting death of a 22-year-old Alexandria man. News4's Northern Virginia Bureau reporter David Culver reports live. "This case was not about self-defense, it was about self-respect, or disrespect," prosecutor Bryan Porter began. Porter argued that Patterson felt disrespected in his first encounter with Dawkins, and left to get his gun moments later. "... Pure and simple anger, resentment and revenge," Porter said of Patterson. "None of this would have happened if he pulled out his cell phone and pushed three buttons on his phone." Porter suggested Dawkins ran from the off-duty deputy because he wasn't in uniform, and witnesses testified they didn't hear him identify himself. "They didn't hear anything about 'arrests,' 'police,' [or] 'get on the ground.' That's because it didn't happen," Porter said. "[Dawkins] doesn't know that this man is a law enforcement officer.... 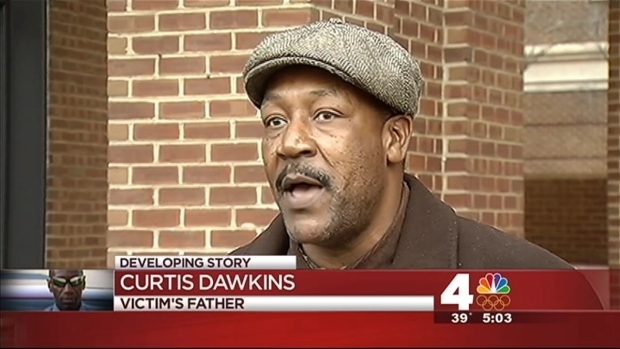 If anyone acted in self-defense in this case it's Mr. Dawkins, not the defendant." Defense attorney Megan Thomas handled closing arguments for Patterson's side. She began by acknowledging Dawkins' death as a loss to the community. But she said, "A tragedy isn't a murder, a tragedy doesn't make Mr. Patterson, a 17-year veteran, a father of three, a murderer." Northern Virginia Bureau reporter David Culver reports on closing arguments in the murder case of Arlington County Sheriff's deputy Craig Patterson. Thomas challenged the prosecution's theory that Patterson acted out of disrespect, or that he was angry following his first exchange with Dawkins that evening. "Bruised his ego so badly that he shot and killed Julian Dawkins? That doesn't make sense," Thomas said. "Why does he bother with his handcuffs at all? ...If he was so enraged, all he needed was a gun." Thomas, pushing the theory of self-defense, called Dawkins "an angry, drunk, belligerent man armed with a deadly weapon." She also called out the prosecution's witnesses saying, "They were biased witnesses that weren't telling the truth.... They were lying." 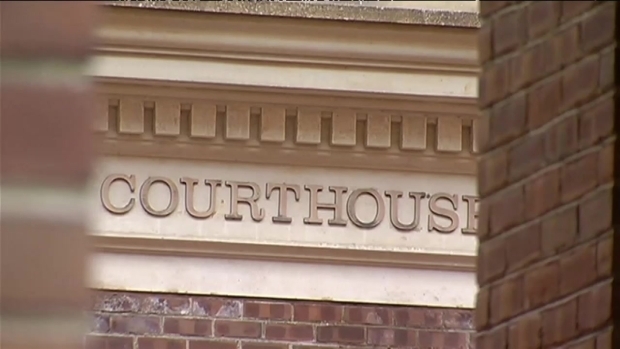 She warned jurors that the community outrage should have no bearing on their decisions. 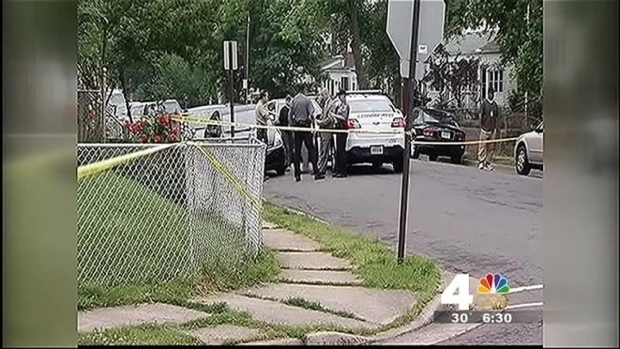 Northern Virginia Bureau reporter David Culver reports on the prosecution's case against the Arlington sheriff's deputy accused of murder. "They're so angry about what happened and they're so angry with this man," Thomas said while pointing at Patterson. "...[T]hey want to make him pay. He didn't have any other choice." During the rebuttal, Porter challenged Thomas' closing remarks. "Ms. Thomas says Mr. Patterson didn't have another choice; how about calling 911? ...He didn't want to call 911.... Instead he went back to get even on his terms." During his testimony Wednesday, Patterson conceded he was off duty at the time and out of his jurisdiction, but had the right to make a citizen's arrest. He said he ran into Dawkins on the street in the Lynnhaven section of Alexandria while on a walk. He described the 22-year-old as intoxicated and a little aggressive. Patterson went on to tell the court that Dawkins pulled a knife on him. "He took a step toward me.... I started running and he started chasing me.... I'm feeling I'm in danger," he said. Northern Virginia bureau reporter David Culver reports on the testimony of Craig Patterson, the Arlington sheriff's deputy charged with murder. Patterson testified he then headed back to his car to grab only his handcuffs, preparing to arrest Dawkins if necessary. The two men met up again just a few blocks away. Dabbing his eyes with a tissue on the stand, Patterson said: "[Dawkins] turned around, charged back at me and took a swing back at me.... I thought he had the knife in his hands. At that point I retrieved my weapon and fired." The prosecution followed up and didn't go easy. 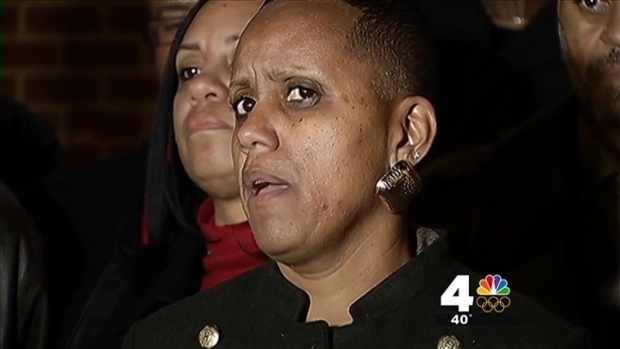 "You intentionally shot and killed Julian Dawkins; this wasn't an accident?" Porter said. Porter asked about the timing of his actions, specifically questioning why Patterson did not use his cell phone before running back to confront Dawkins. "Did you think about calling the police at that point?" Porter questioned. "I was going to call the police as soon as I got back to the young man to see where he's at to tell the police," Patterson replied. But the prosecutor went on, "Why would you wait? Why didn't you call for backup, sir?" "I've already answered that question," Patterson said. "I wanted to get eyes on him first before calling 911." At times, Patterson stumbled on his words. He admitted he'd only identified himself as law enforcement twice before killing Dawkins. "It was moving so quickly. I didn't give him another command," he said. "Did you pull your badge and wave it?" Porter asked. Patterson had a lot of supporters take the stand on his behalf Wednesday, including his ex-wife, eldest son and several deputies from Arlington County.